Timber theft issues usually arise from poorly identified property lines. When theft occurs, we can often establish exactly what the logger received for your timber by tracing where your logs were sold or manufactured, and we can also arbitrate a settlement without going to court. Our ability to do this stems from the many personal relationships we have with local lumber and logging companies. 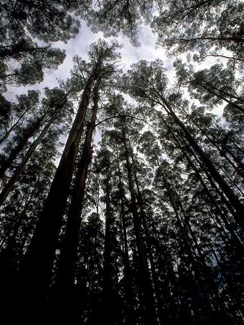 If arbitration is not successful, we have relationships with certain attorneys who have experience with timber theft. Often, tracing stolen timber is more difficult than described above, especially if the logging company is uncooperative. In this case, we follow standard protocol for assessing theft by measuring stump diameters and the distances from the stump to the treetop in order to determine tree volumes.